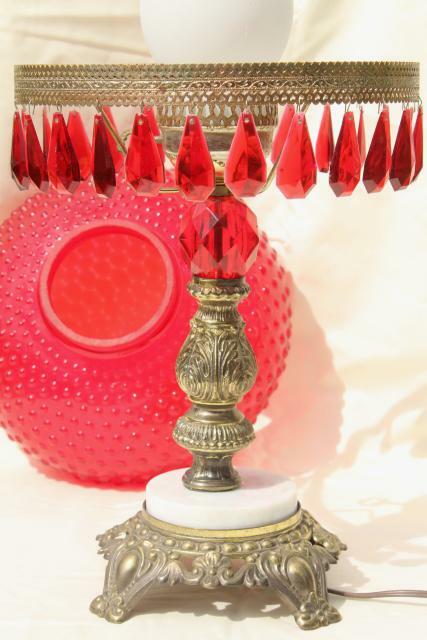 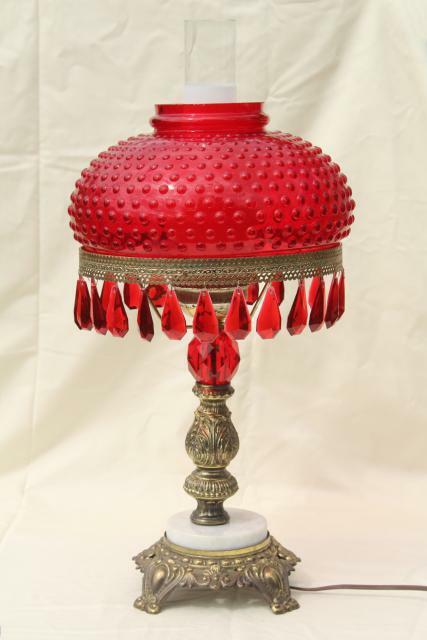 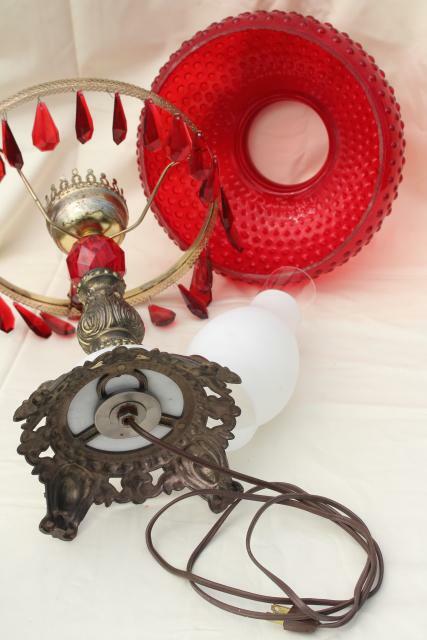 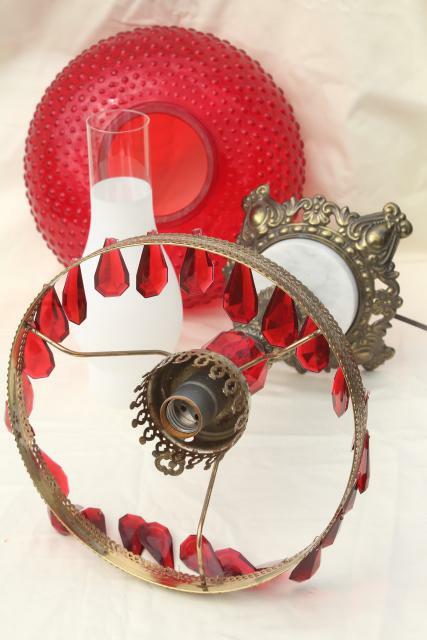 Mid-century vintage Italianette gold rococo table lamp, over the top with ruby red glass hobnail shade and red plastic teardrop prisms to match! 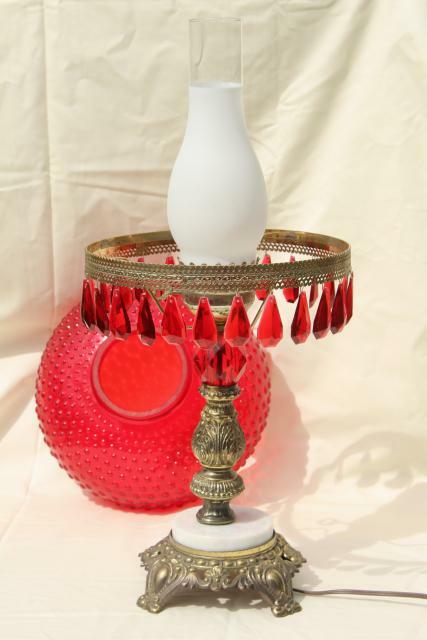 This is either the ugliest lamp ever, or something really special depending on your view... but we think it would be wonderful in boho style decor, or a kitschy retro setting. 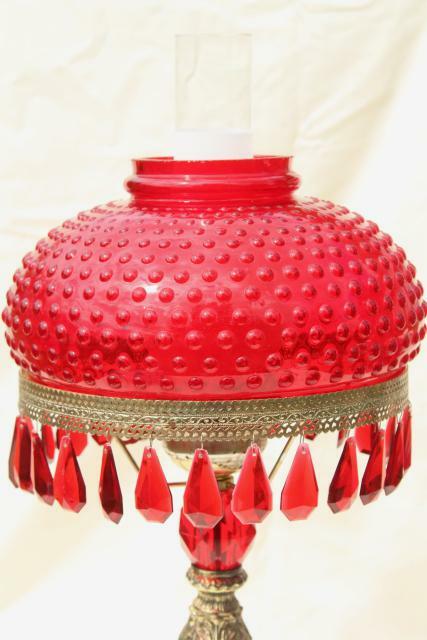 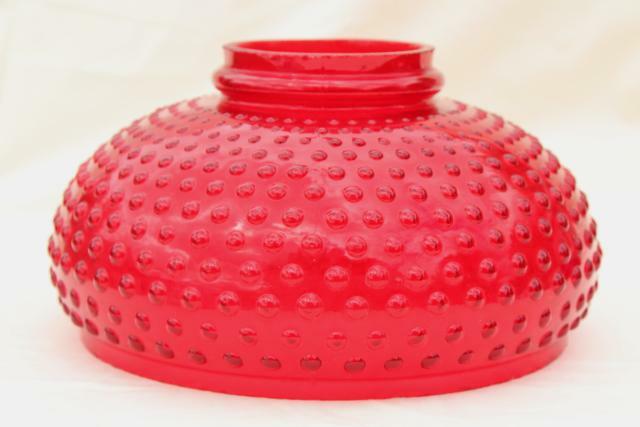 It's 22 1/2" tall to the top of the glass chimney shade, and the red colored glass shade measures 10 1/2" in diameter with a 9 3/4" fitter. 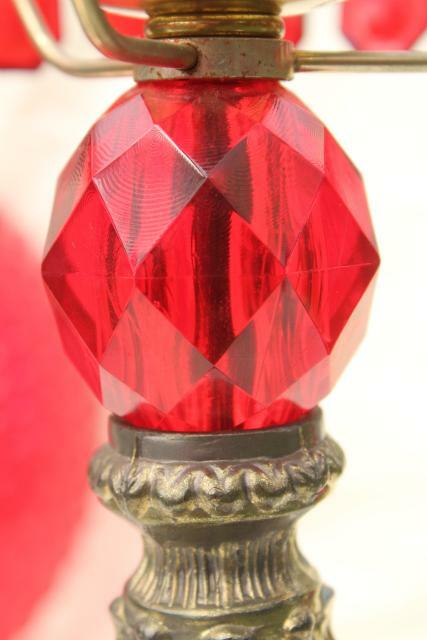 The red shade has a little roughness to the edges top and bottom, and the gold metal 'crown' at the top of the shade is missing. 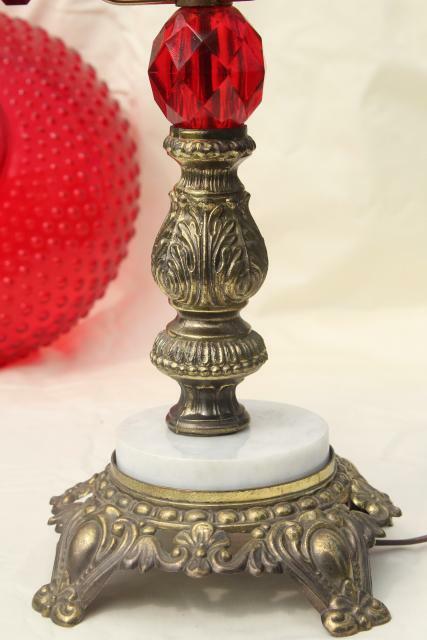 Gold metal hardware trim or even gold doily paper might work well to replace this. 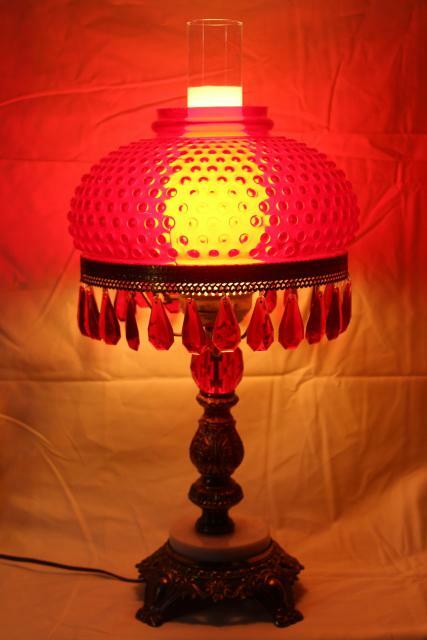 The lamp works fine with all original wiring. 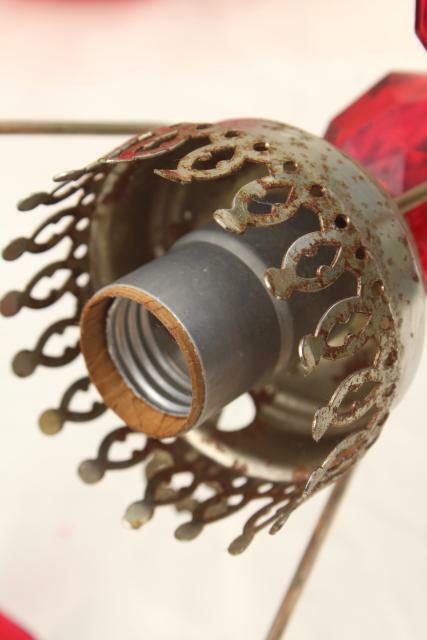 There's a little bit of light rust spotting to the metal hardware, and the stem of the lamp needs to be tightened up a little on the base, it's just a little loose and slightly off center as it is. 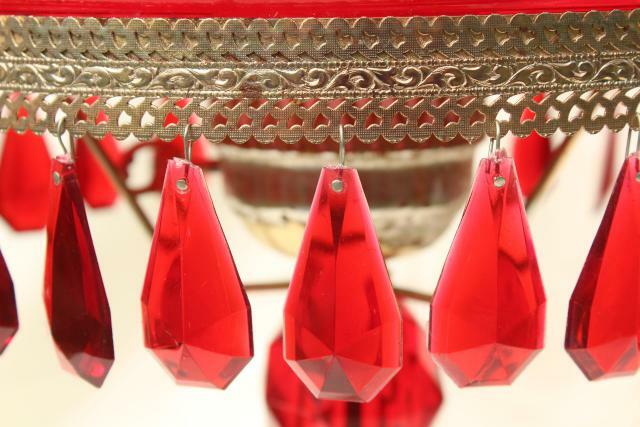 Red plastic drops look good without a lot of scratching, though they are thin plastic and not terribly heavy. 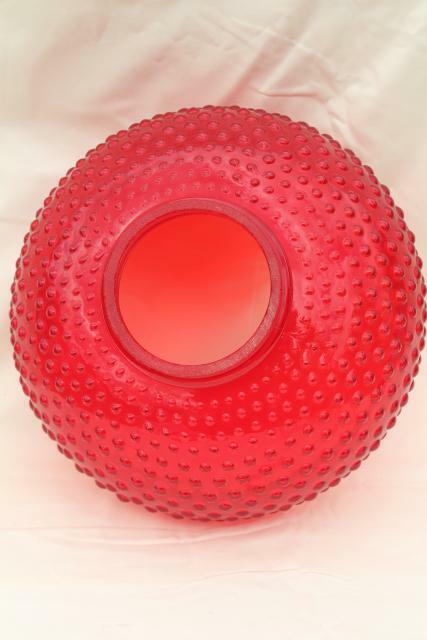 If you're just looking for an Italian glass lampshade for a large lamp or pendant fixture, we'd be happy to scrap the lamp and just send you the shade! 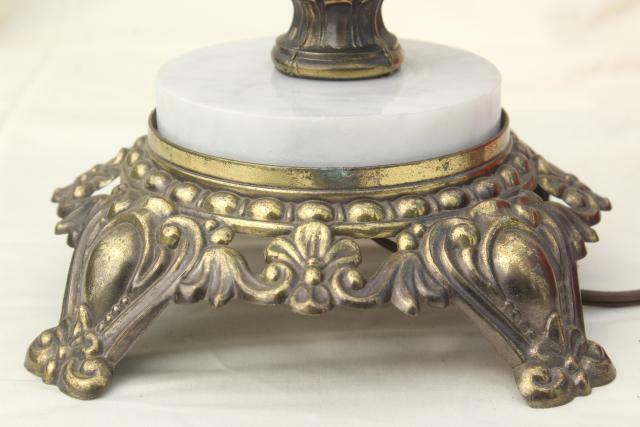 I know the shade is really all of the value here, but it looks cute together on the gold and marble base with those plastic teardrops, so we thought we'd try leaving it all together.